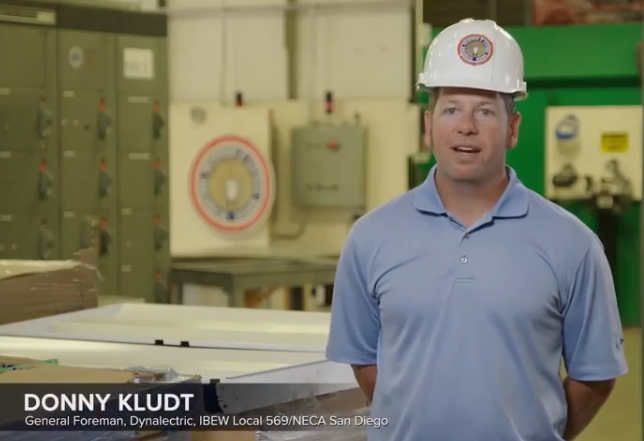 IBEW 569 members are at the forefront of building clean energy storage. Check out this video: "Strengthening the Grid: How Energy Storage Makes the Power Grid More Resilient, Flexible and Efficient." Threats to the power grid are global - cyber attacks, power outages and infrastructure challenges abound. Clean energy storage can increase reliability, safety and efficiency, while reducing emissions and costs. Hear leaders from the California State Senate, California ISO and the California Public Utilities Commission as well as Southern California Edison, IBEW 569, GE and AES discuss the role of clean energy storage in strengthening the grid.